In order to retain color on eyelashes or eyebrows, many people consider permanent eyelash dyes. In some parts of the world this is an acceptable practice, and even in the United States of America, where the Food and Drug Administration (FDA) does not approve the use of eyelash and eyebrow dyes, there are salons that offer these services. However, these salons are in violation of the warning issued in the 1938 Food, Drug, and Cosmetic Act. This is a warning that stemmed from two cases of permanent eyelash and eyebrow dye: one that resulted in blindness and one that resulted in death in the early 1930s. For more than 70 years the risks and dangers associated with trying to enhance one’s beauty with permanent eyelash have been known. The main problem is that most of these dyes are made using the same ingredients that are used in hair dyes. Some salons use regular hair dyes to provide eyelash and eyebrow dying. Hair dye boxes carry explicit warnings to keep the chemicals and the dye away from the eyes. This is because the ingredients in hair dye are very harmful to the eyes. 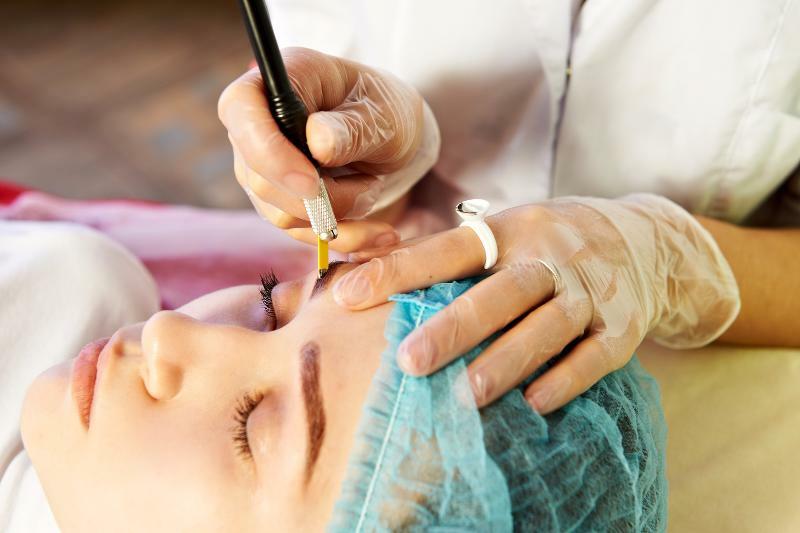 When used as permanent eyelash and eyebrow dye, however, these chemicals are placed almost directly on the eye, and can cause serious injury and lasting damage. In countries other than the U.S., coal tar dyes and other types of dye may be used to as permanent eyelash or eyebrow dye. This is still dangerous, and the United States prohibited the use of foreign imports to dye the lashes or brows. Allergic reactions that cause swelling, irritation, and other potentially harmful effects to the eyes are all possible results from using these types of dyes, even if they are marketed as being specifically for eyelashes and eyebrows. However, there is no ban against using temporary color for the eyes. Temporary coloring agents are common makeup items such as eye shadow, mascara, eyeliner, and eyebrow pencils. These items, so long as they contain only FDA approved colors and ingredients, are deemed safe for use around the eyes. However, it is important to note that the eye coloring agent known as kohl is considered dangerous, even though it is used in many parts of the world, and even though it has been used as an eye enhancement for thousands of years (it was used extensively in ancient Egypt). It contains heavy metals (like lead) and salts. This is a temporary coloring that can cause severe ocular health problems. Logging on to the FDA Web site can better help you understand the nature of cosmetics, and help you determine which products are safe to use, and which may pose serious threats to the over all health of your eyes. Your eyes are a very important part of your body. They should be cared for just as you would care for your heart or your skin. There are many ways, such as semi permanent eyelash extensions, to enhance the natural beauty of your eyes without resorting to using harmful chemicals and dyes that can lead to blindness or even to death.